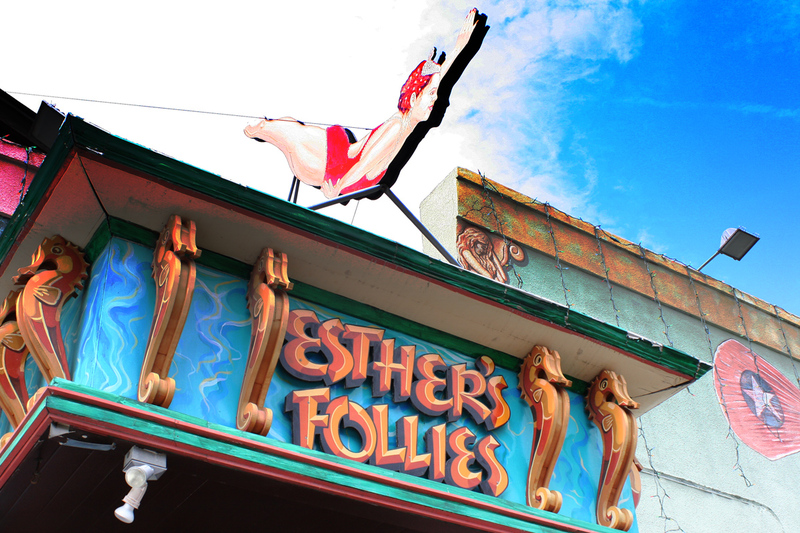 Esther’s Follies is a musical-comedy revue bar, very much an Austin institution and a must-visit for out-of-towners. It is typically Austin - quirky, witty, and slightly saucy. The venue and show are named for Esther Williams, star of, among other fine movies, 1945’s Ziegfeld Follies, and one of the earliest pioneers of what we now call Synchronized Swimming. An Olympic sport where holding your breath is a core competency. And an Olympic sport that unwittingly provided one of the biggest negative news stories amid the much-lauded success of the 2012 London Games. Now, if you can convince Her Majesty to take part in a 007 skit and pretend to sky-dive out of a helicopter, you’d think selling a few tickets to what is, at best, a fairly minor sport would be child’s play. Wouldn’t you? Enter the ever dangerous Fatfinger. Auric Goldfinger, 007’s eponymous nemesis, had a cunning plan (in what many purists claim is THE best ever, nay quintessential, 1964 Bond movie) to create economic chaos by radioactively contaminating the gold in Fort Knox and thus drive up the value of his own hoard of shiny yellow stuff. Fatfinger (one of the many enemies of Excel monkeys) too can wreak economic havoc. We’ve talked before about JP Morgan’s $9 billion whoopsie and Sychronized Swimming at the 2012 London Games presents another example. Take a look down at your keyboard. The 1 is pretty close to the 2, right? Easy to type in say, 20,000 when you meant to type 10,000, right? That’s what happened deep in the bowels of Locog, the Olympic ticketing agency and sure enough, 20,000 tickets were sold for the Synchronized Swimming competition. That’s Ten. Thousand. Extra. Now don’t get me wrong, overselling seats at an event is not a potentially life-or-death scenario like Fat-fingeredly typing an extra zero on instructions for a 10ml drug dose. But it had the pretty serious effects of heaping more negative press on the universally-derided ticket sales process, which were viewed as the the most negative aspect of these Games. And it’s not as if the Eyes of The World aren’t on you when you’re hosting the Games. Apologetic letters had to be sent out by the thousand to ticket purchasers, some of whom were given, in lieu of their Synchronized Swimming tickets, high-value passes to far more glamorous and mainstream events including the crown jewels, the men’s 100m final. In addition to angering fans (customers), the mistake resulted in lost revenue, with some of these other event tickets costing more than $80 more than the phantom Synchronized Swimming tickets they replaced. Add in the admin overhead of fixing the problem, and it becomes quite a costly mis-key.